Business has existed since the beginning of humankind. To what extent does technology disrupt it? What are the tools and skills required to thrive in the modern-day work environment? 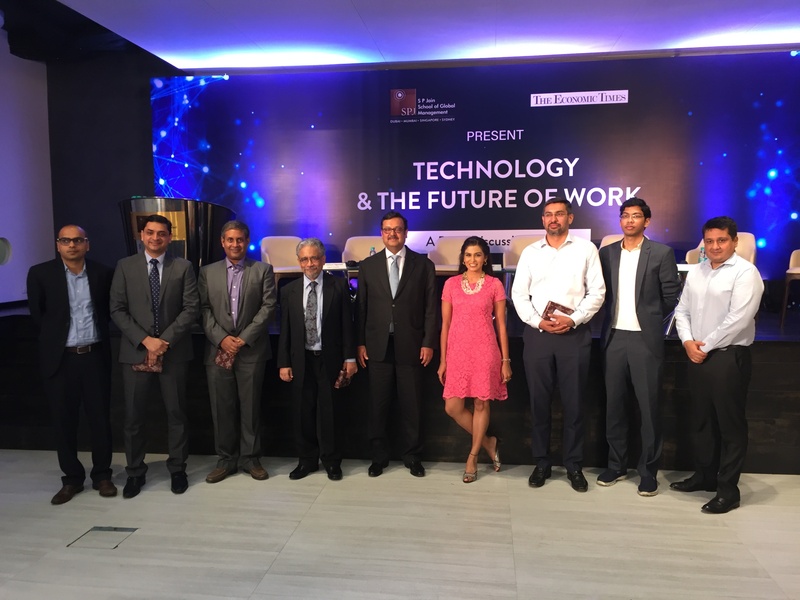 SP Jain School of Global Management, in collaboration with Economic Times, conducted Technology & the Future of Work - a Panel Discussion Series with the leaders of the technology industry. 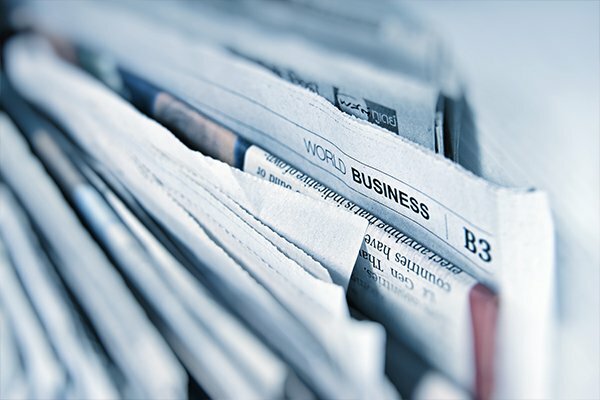 The discussions explored varying disruptive technologies of this era including Big Data, Artificial Intelligence, Virtual Reality, Fintech, and Cybersecurity. The panellists shared their insight into the disruptive technology of today, discussing how the job market of tomorrow will be staggeringly different. Held across the months of September and October 2017, the events saw participants from across different domains coming together to hold an interactive discussion with the industry leaders. The Panel Discussions were later aired on ET NOW. Here’s a look at what the panellists spoke during the discussion. "If you wish to study AI, do so in a business school, rather than in an engineering school. This way, you are informed about how AI will affect the world "
- Kushe Bahl | Leader of Digital Practice & Partner – McKinsey & Co.
"AI is helping people shift to higher level development. Let machines do what they're good at. Human beings will focus on other things instead." "In today’s world, it is important to learn coding and mathematics. Not because you will become a coder. Because it teaches you rigorous thinking. It teaches you that even one mistake will yield the wrong results - a lesson vital to the new business world." "India, today, is probably the fastest adopter in terms of robotics as well as cognitive technologies. However, it will take some time for the commercial deployment of Artificial Intelligence. For example, understanding the different undertones of a conversation is something we still haven’t been able to program in an AI." "It is proven by data research that learning among peers is better than learning by yourself. A peer group discussion monitored by a professor has been found to be more effective." 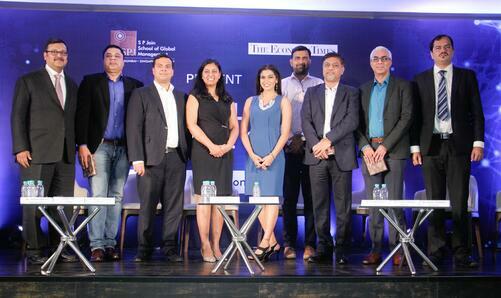 Click Here to watch the Panel Discussion #1 episode aired on ET NOW. 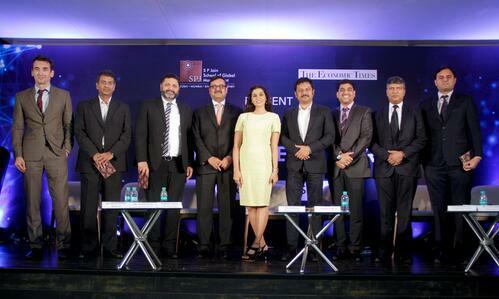 Click Here to watch the Panel Discussion #2 episode aired on ET NOW. training to students, it is up to them to keep themselves updated with time." "The data that is available for the government is also available to the criminals. That is the danger we have to combat." "Cyber is already the fifth domain today, after land, air, water and space. Hence, Cybersecurity is one of the only recession-proof jobs today. The options open ranges from being an Ethical Hacker to a Certified Specialist." "We have to address that Cybersecurity is no longer an IT issue. It is a business issue. The cost of security for an enterprise is disproportionately higher than that for hacking." "The question is not if you will be attacked. The question is when you will be attacked." “If a smartphone user wishes to enjoy the features, they need to forget about security and privacy today. Not facing a Cyberattack doesn't mean that you're secure. It just means that you've not been targeted yet." Click Here to watch the Panel Discussion #3 episode aired on ET NOW.